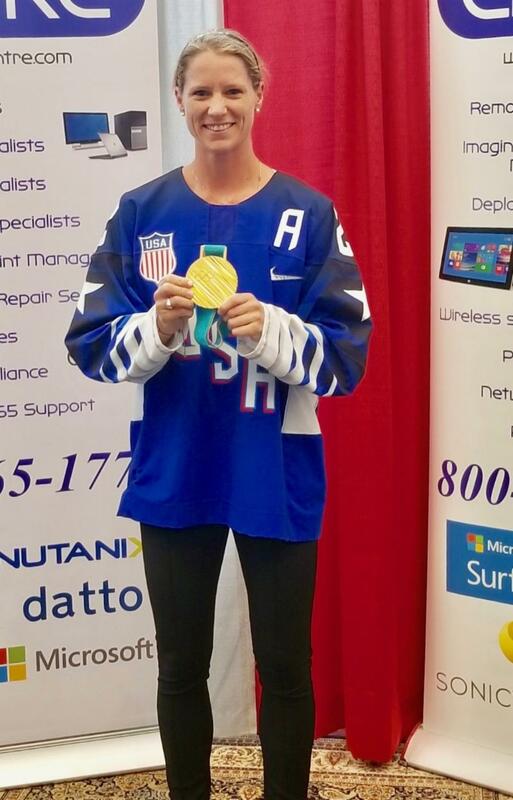 Kacy Bellamy is a three-time Olympic medalist, winning silver in Vancouver and Sochi, and, most recently, gold at the PyeongChang 2018 Winter Games. She plays defense and has been a member of eight U.S. National Hockey Teams, earning seven gold medals and one silver. In 2016, she was on the roster with the Boston Pride of the National Women's Hockey League and helped them win the first-ever Isobel Cup for women's professional hockey. Being part of Team USA for over 10 years she has found another passion through poetry. It has been a dream of hers to not only represent her country but to publish her poetry. In October 2018, she released her first book "Unbroken Heart of Gold: Collection of Poems. Her poems consist of success, failure, nature, family, friends, heartbreak and love. Reserve your seat right away to hear from this inspirational World Marathon Champion.